We were having a big family get-together for Easter lunch at our house. The day before, I was doing some house cleaning and sprucing up. We had a tired-looking framed print in our kitchen that had been there for years and it was even missing the glass after getting knocked off the wall. So, I went looking in the basement for something to hang in its place. After trying a few things, I settled on a nautical painting that had been over the fireplace in my parents’ home since I was a kid. I distinctly remember going to a downtown department store with my parents when I was about 9 years old as they picked out some artwork for our new house. 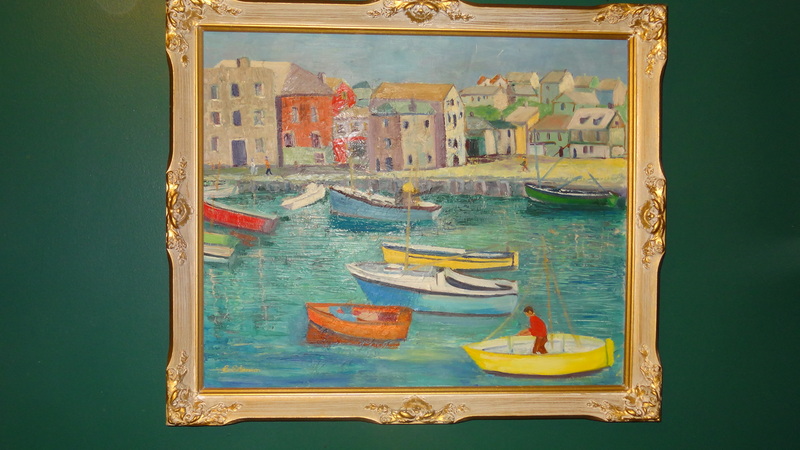 They bought two Parisian looking prints and an actual painting of sailboats in a harbour. It’s quite nice but I never really thought anything about it. It was just always there. After my parents moved and then passed away, I ended up with a lot of the family “heirlooms”. The painting didn’t hang quite right in the kitchen. It wasn’t flat to the wall and would be in danger of getting knocked as people went around the buffet table getting their food at Easter. So, I asked Dave to tighten/shorten the wire. Just prior to that, he had asked me where I thought the harbour scene was. I speculated the south of France. 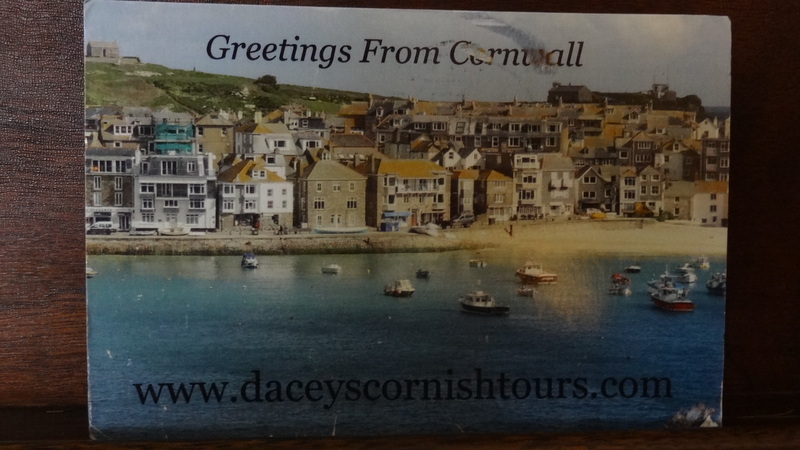 When he flipped over the picture, there on the back was a piece of masking tape with “Cornwall, England” written in pen. Holy cow. I had never heard that mentioned growing up but then again it wouldn’t have meant anything to me then. Then we were speculating where it could be and Dave or maybe it was our daughter said, “that looks like your photo” – you know, THE PHOTO. And it does – see for yourself. 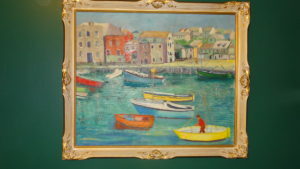 It must be St. Ives. Note the yellow roof in both. So, how’s that for coincidence, planets aligning, larger forces at work, etc. Guess I was destined to go to Cornwall. Perhaps I’m meant to go back; would sure like to. And of course, we keep coming across references to Cornwall in things we read. Truly all roads seem to lead to Cornwall. 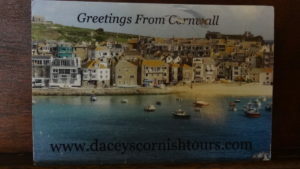 Joan photo came in 3rd in the 2016 Dacey’s Cornish tours photo of the year. This story was written and kindly shared by Joan from Ottawa, Canada. Well that story gave me goose pimples, I truly believe there is a plan to all of this, we just don’t know what it is. The best we can do is to just be mindful and to pay attention so that when it happens, we don’t miss it. Beautiful story Joan, thank you so much for sharing. I love this story. Some things are just meant to be. It will be three years in September since my mom took me on this tour as a graduation present. My life changed radically a couple days after we came home. There is not a day that goes by that I don’t think about this trip and the joys of Cornwall. I hope to take my kids one day.